Lifelong connections are forged within the walls of secret societies of Ivy League schools. We’ve written before on our blog about Ivy League secret societies. In fact, if you read what we’ve written closely, we’ve even given out some secrets about certain Ivy League secret societies that won’t be found anywhere else. 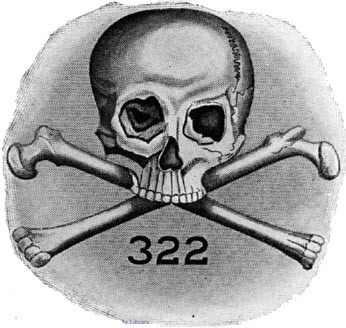 Today, we came across an article on “Deadline,” the top news source for those in the entertainment industry (it supplanted “Variety” and “The Hollywood Reporter” some years ago), about a TV show in the works with USA about Yale’s Skull & Bones. Who knows if this project in development will ever make the airwaves. Personally, we’re rooting for these projects among several others that are on their way into living rooms and movie theatres: an Underground Railroad series for FX to star Kelsey Grammer and a movie to star Liev Schreiber and Jaden Smith based on the National Book Award Winner. We may have a tie to these projects if you read the articles closely. And they’re quite good, even educational. But we know that many are fascinated by the secret societies of the Ivy League so we figured we’d share this latest TV development with our readers. Connections are perhaps the greatest benefit of attending an Ivy League institution and connections are surely forged in Ivy League secret societies. This just isn’t the case at many other universities — even prestigious universities.